Bringing together the work of Quishile Charan and Salome Tanuvasa, Namesake explores the related ideas of lineage and displacement, developed within an atmosphere of friendship and close dialogue between both artists. Matriarchal family figures are central to these investigations. In Charan’s case, she has produced textiles that pay tribute to her aaji (paternal grandmother), as both her own namesake and the person who first introduced Charan to the practice of textile making as an expansive knowledge system. Responding to the handwritten notes and drawings accompanying the list of numbers in her mother’s phonebook, Tanuvasa's work—including video and drawings that resemble radio waves, wind, or currents in the water—infers both movement and connection. 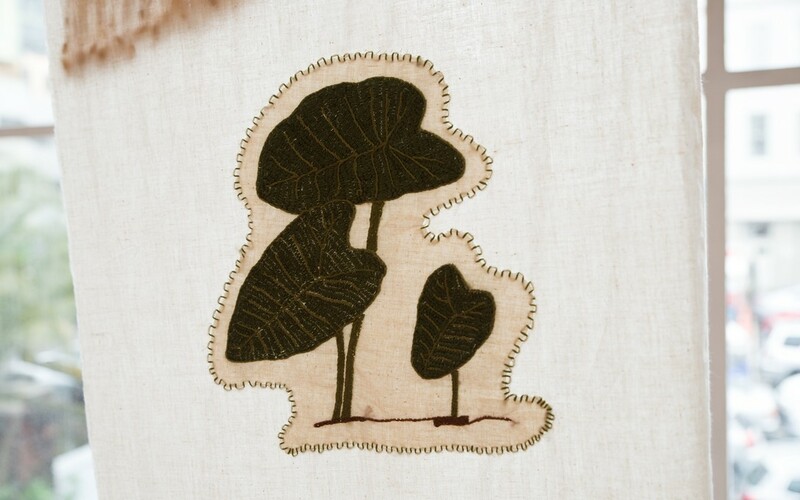 For Namesake, Charan has produced a series of works featuring designs based on her aaji’s likeness, dalo (taro) leaves and a red hibiscus flower. These works employ a variety of techniques including screen printing, hand embroidery, laser cutting and embellishment. Draped over a makeshift clothesline in the gallery, this method of display recalls an environment of learning and memory. 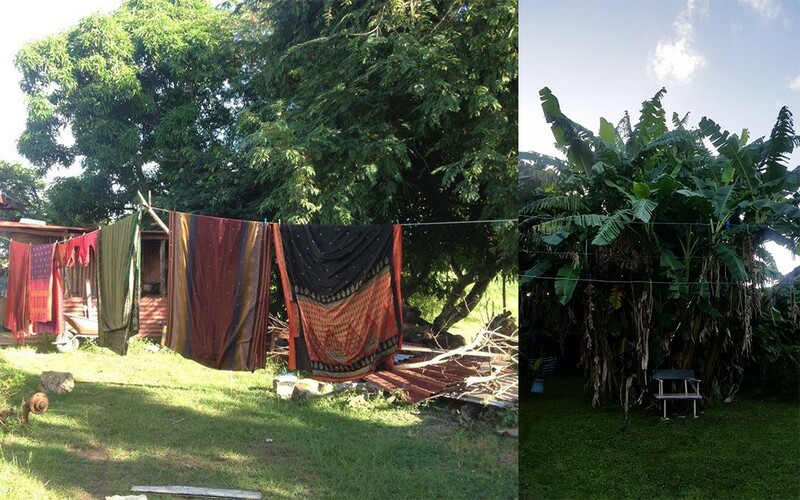 Here, ‘a line’ doesn’t simply refer to a place to dry our clothes, it can also mean a succession of people, an inheritance. 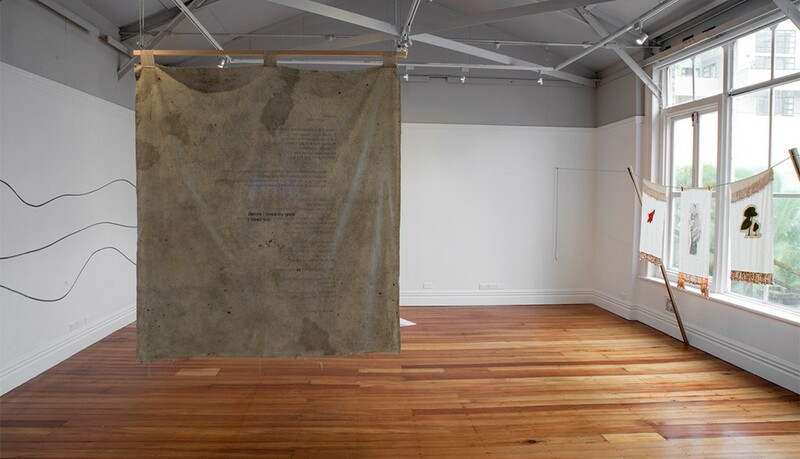 The largest textile, hanging independently from the clothesline, has been dyed with pigment from kawakawa leaf and features a text by the artist. 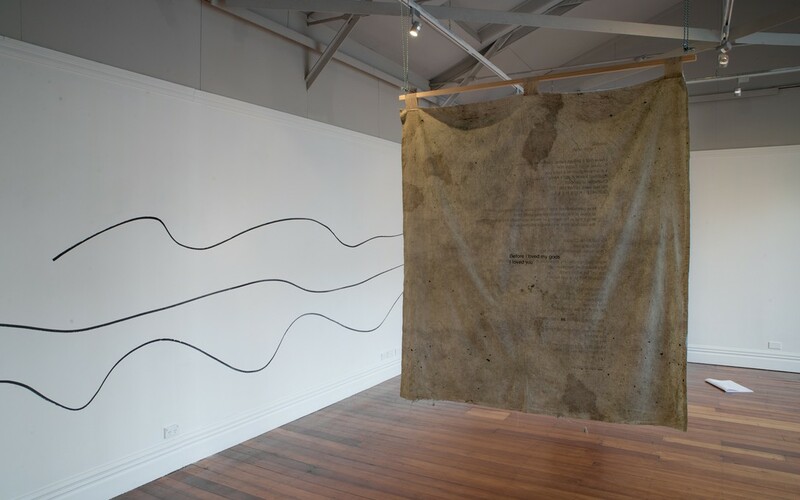 Tanuvasa’s wall drawing and notebook responds to the environmental noises heard on long distance calls to relatives living in Vava’u and Tongatapu: from familiar interference and delays on the phone connection, to the specific sound of wind in the trees. She acknowledges the digital background for these conversations, where wireless service providers such as the multi-national Digicell have a very strong presence in the Pacific, capitalising on the high uptake of cell phone and data usage due to the high volume of communication between relatives living in and outside of the Islands. 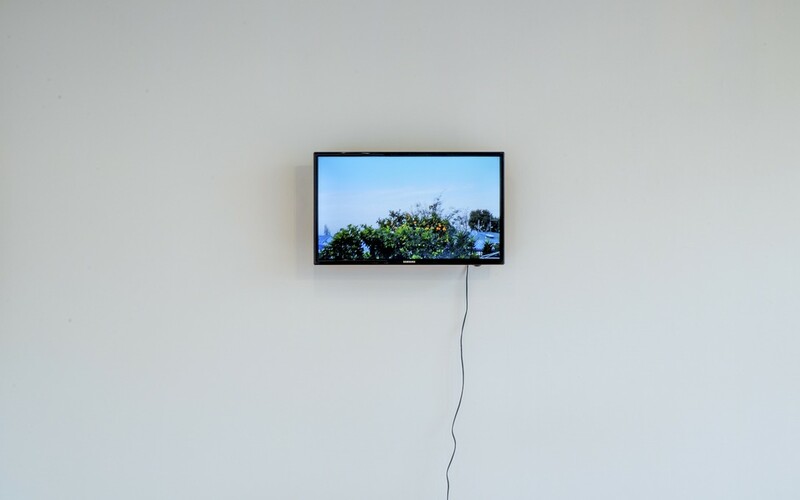 An accompanying video, featuring her own backyard in the morning juxtaposed with her mother’s backyard in the evening, sets the scene for these conversations in physical environments. 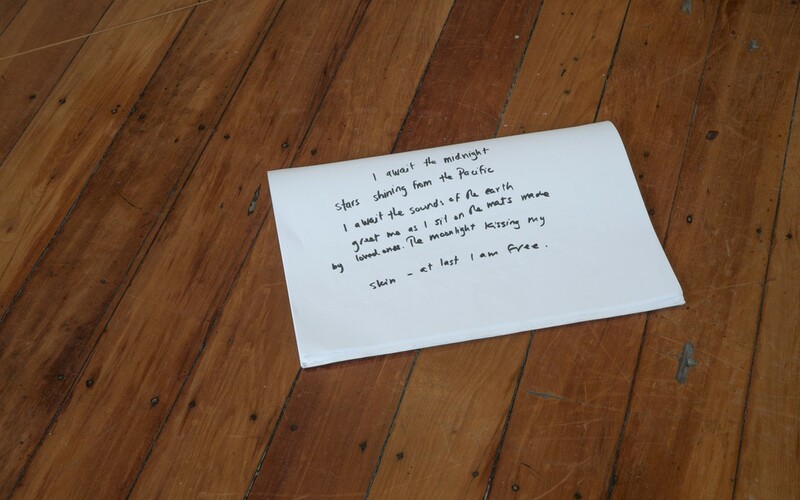 Published on the occasion of the exhibition 'Namesake', The sea brought you here brings together newly commissioned responses alongside found photographs, phone snapshots, sketches, texts and previous work by Quishile Charan and Salome Tanuvasa. Salome Tanuvasa, Wall drawing, 2017. Image courtesy of Shaun Matthews. 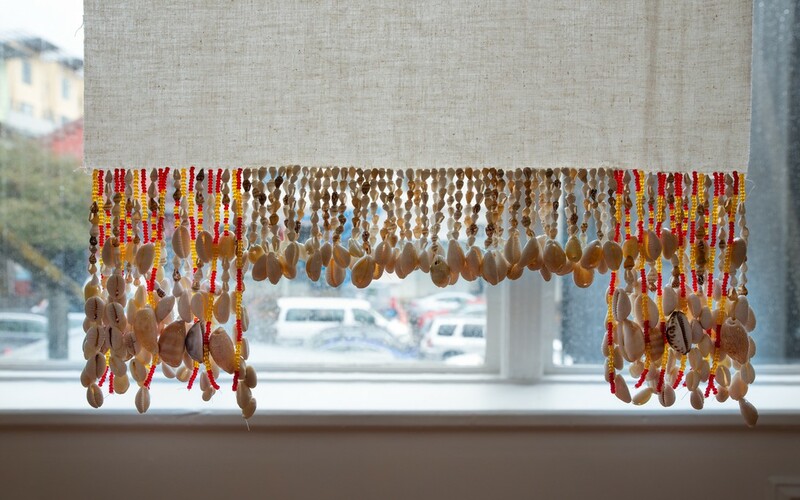 Quishile Charan, Red hibiscus, 2017, cotton, embroidery thread, shells; Aaiji, 2017, cotton, oil based ink, embroidery thread, beads; Dalo, 2017, cotton, embroidery thread, shells. Image courtesy of Shaun Matthews. 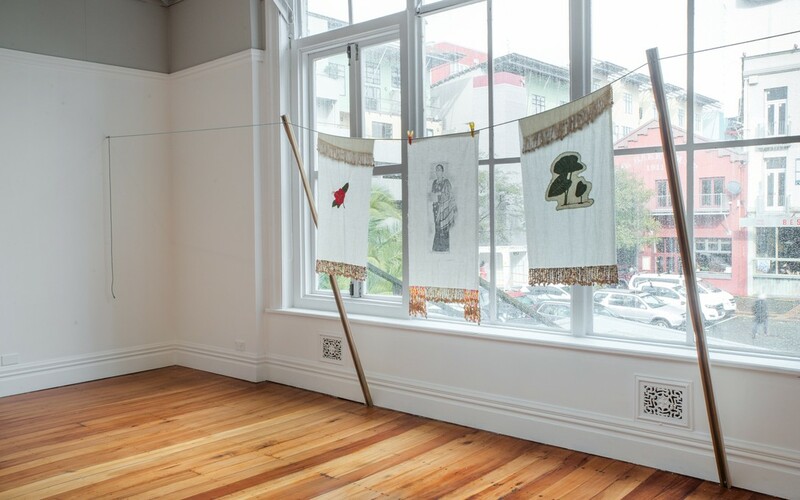 Salome Tanuvasa, Wall drawing, 2017 [left]; Quishile Charan, quishile.shile.shila, 2017, kawakawa, textile ink, rope, wood, cotton [right]. 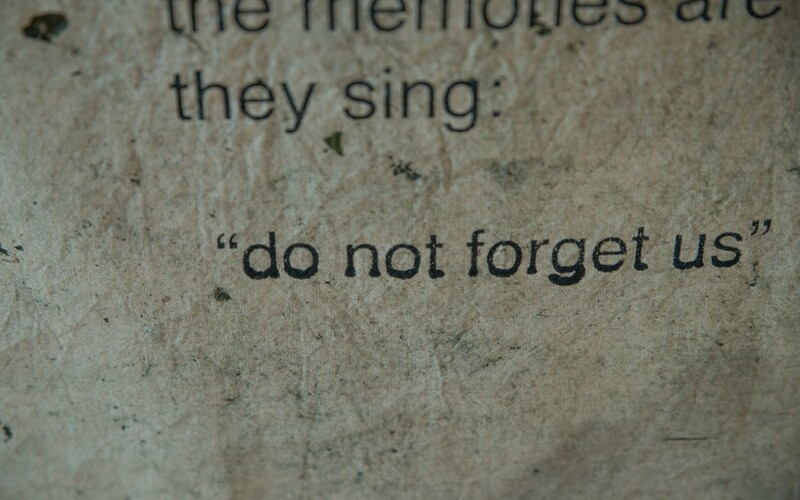 Image courtesy of Shaun Matthews. 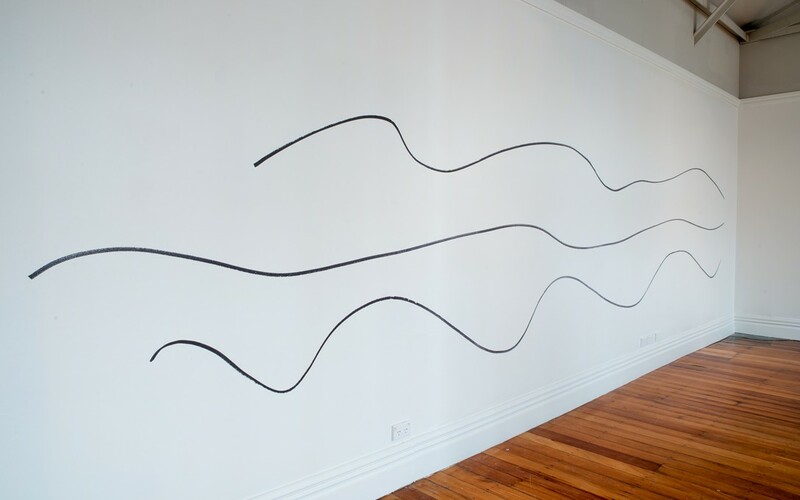 Salome Tanuvasa, Wall drawing, 2017; Morning evening, 2017, single channel video, 3:03 min; Drawing thoughts, 2017. Image courtesy of Shaun Matthews. 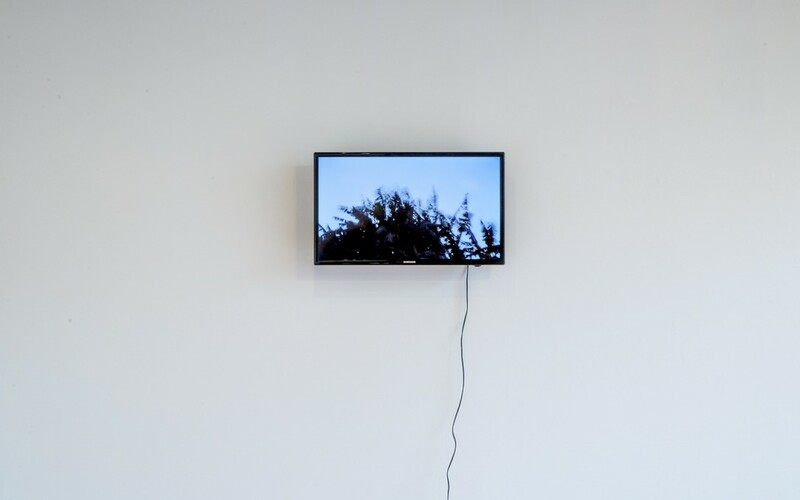 Salome Tanuvasa, Morning evening, 2017, single channel video, 3:03 min. Image courtesy of Shaun Matthews. Salome Tanuvasa, Morning evening, 2017, single channel video, 3:03 min; Drawing thoughts, 2017. Image courtesy of Shaun Matthews. Salome Tanuvasa, Drawing thoughts, 2017. Image courtesy of Shaun Matthews. 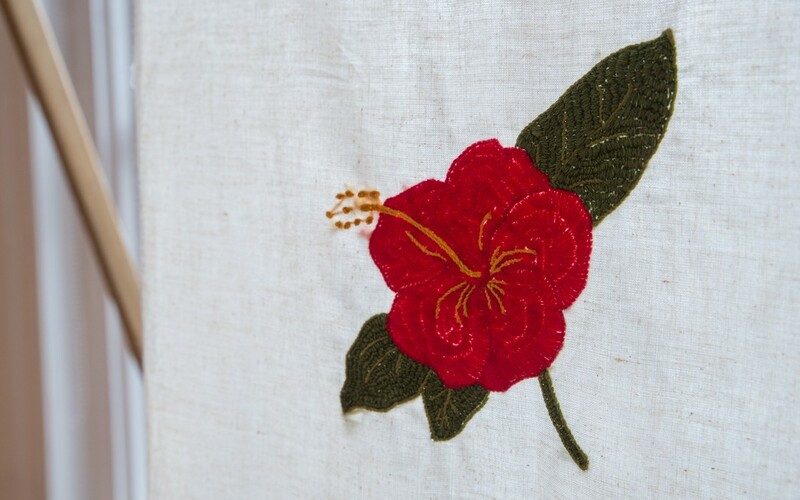 Quishile Charan, Red hibiscus (detail), 2017, cotton, embroidery thread, shells. Image courtesy of Shaun Matthews. 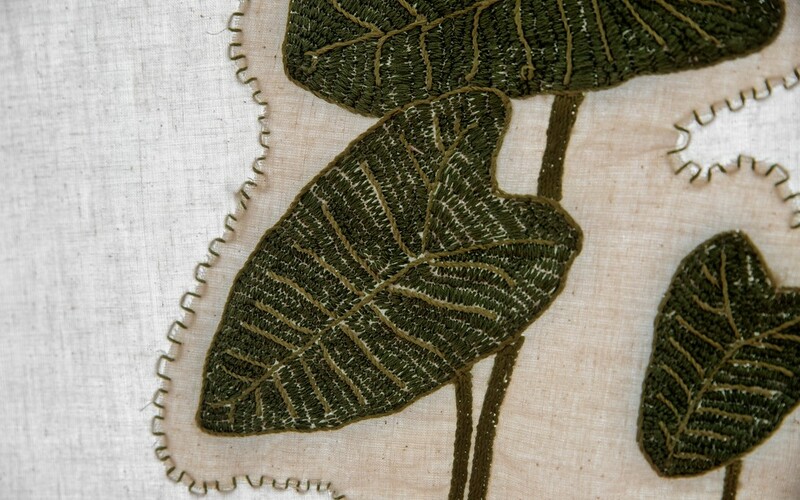 Quishile Charan, Aaiji (detail), 2017, cotton, oil based ink, embroidery thread, beads. Image courtesy of Shaun Matthews. Quishile Charan, Dalo (detail), 2017, cotton, embroidery thread, shells. Image courtesy of Shaun Matthews. Quishile Charan, quishile.shile.shila (detail), 2017, kawakawa, textile ink, rope, wood, cotton. Image courtesy of Shaun Matthews. 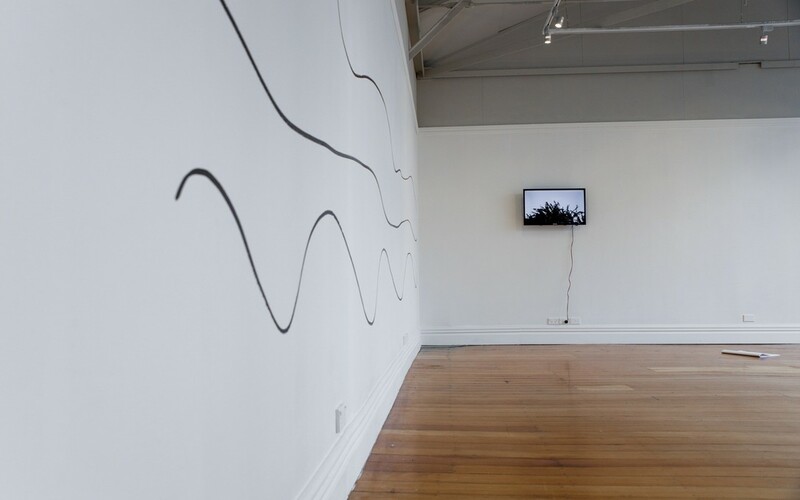 Salome Tanuvasa, Wall drawing, 2017 [left]; Quishile Charan, quishile.shile.shila, 2017 [centre]; Quishile Charan, Red hibiscus, Aaiji, Dalo, 2017 [right]. Image courtesy of Shaun Matthews. Quishile Charan is an emerging artist of Indo-Fijian heritage living and working in Aotearoa New Zealand. 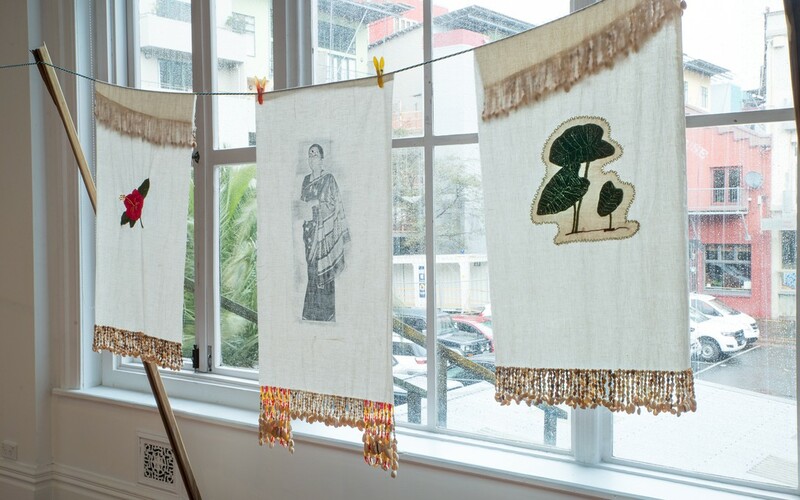 Charan uses traditional modes of textile making to reflect upon the landscape of indentured labour and its ongoing post-colonial affects on the Indo-Fijian community. Recent projects include: A Turn of a Wheel (group), Malcolm Smith Gallery, Auckland (2017); New Perspectives (group), Artspace, Auckland (2016); Samundar and Haldi, Objectspace, Auckland (2016). Charan holds an honours degree in Fine Arts from the Elam School of Fine Arts, University of Auckland. Salome Tanuvasa is a Samoan-Tongan artist based in Auckland. She completed her Masters in Fine Arts at Elam in 2014, followed by a Diploma in Secondary Teaching. Salome was the Artspace/Tautai Education Intern in 2016 and now is the Education Manager at Te Tuhi Centre for the Arts. 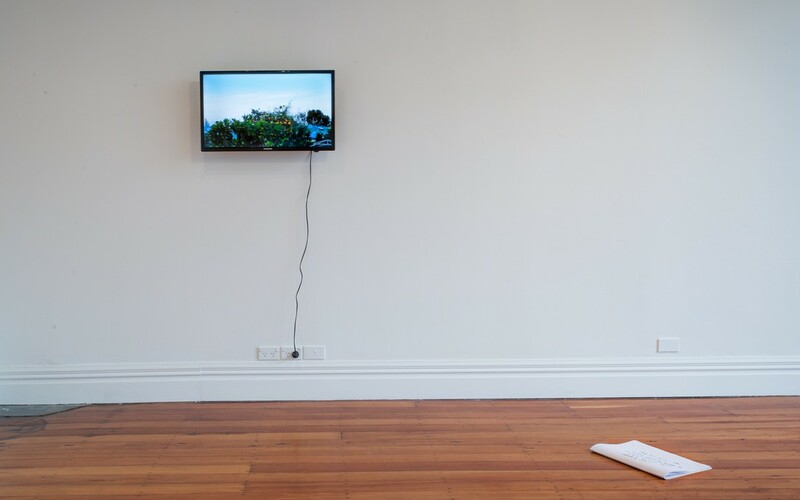 Her art practice looks at the ideas of home and the multiple connections of a place that can inform the characteristics of a person.